ESMAC aims to encourage mobility and international contacts between the different gait laboratories. Visiting or staying for a longer time in a laboratory encourages progress and further development in our field. ESMAC would like to assist this interchange by providing support to its members who wish to visit a European gait laboratory. Through the visiting fellowship program, we offer awardees the chance to gain experience of the clinical and research operations of another laboratory, to further specialize in a specific area, or to undertake knowledge-gathering assignments. Thanks to this grant, researchers get the opportunity to specialize in their area of interest, deepen their scientific expertise abroad, and improve their CVs. Applicants for the mentorship award must be ESMAC members. A member may only receive the award once. Applicants need to retain all receipts of expenses and will be reimbursed following the visit up to a maximum of 1000 euro, and depending on the length of stay. Eligible expenses include travel, accommodation, and daily living requirements during the stay. A maximum of 3 mentorship grants will be awarded per year. 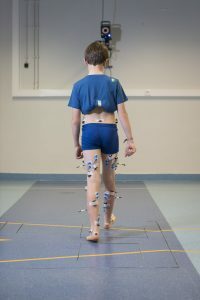 Contact the gait lab that you are interested in visiting/collaborating with and ask whether and when a visit can be arranged. All new collaborations/suggestions of labs are welcome. Work out the goals and contents of the research visit together with the hosting lab. Details of the research visit are up to the applicant and host to arrange. However, we encourage stays of minimum 3 days and maximum 1 month. Applications can be submitted throughout the year. Awards will be announced at the ESMAC Annual Meeting. Provide a brief statement (max 3 pages) outlining why you wish to have an ESMAC mentorship award and include a plan of the visit. Provide an agreement/invitation letter from a senior researcher at the host laboratory. Provide a letter of support by a senior researcher from your own research institute. Provide a written report of your visit max. 2 months after return from the visit. Provide a short summary of your visit and two pictures that will appear on the ESMAC website. Selected applicants may be asked to give a 5 minute presentation about their research visit at the first following ESMAC Annual Meeting.